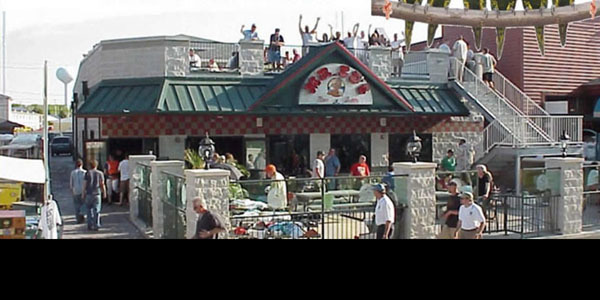 Mr. Ed's Bar and Grille is the place to be on Put-in-Bay. The food and entertainment at Mr. Ed's rivals that of other establishments. A large breakfast buffet is offered on the weekends including an omelette station. Lunch portions are sizable with hand cut fries. Try their juicy burgers or a massive turkey rueben. While you're here you might as well stay for awhile. Mr. Ed's proudly provides the best live entertainment for its patrons. Check out the entertainers page for more info on the upcoming acts at Mr. Ed's Put-in-Bay.